ca 475 - 425 B.C. The hero Perseus stands with one foot resting on a rock and a hand placed at the chin. 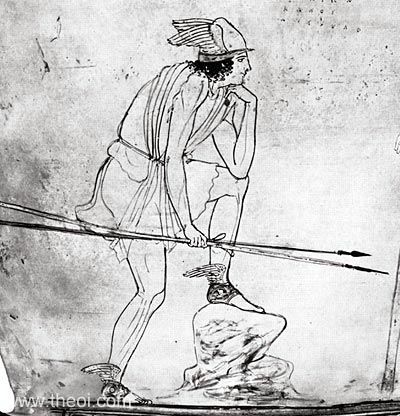 He wears a winged cap and sandals, and holds a pair of hunting spears . Andromeda, to his right (not shown), is bound to a pair of stakes.